I love living in another country and the benefits it brings but some days it’s easy to miss home. I haven’t lived in my hometown of Perth for more than 20 years but it is somehow still home. And perhaps I’m biased, but I think it is one of the most beautiful cities in Australia. So this week I’m bringing you a little snippet of my hometown. 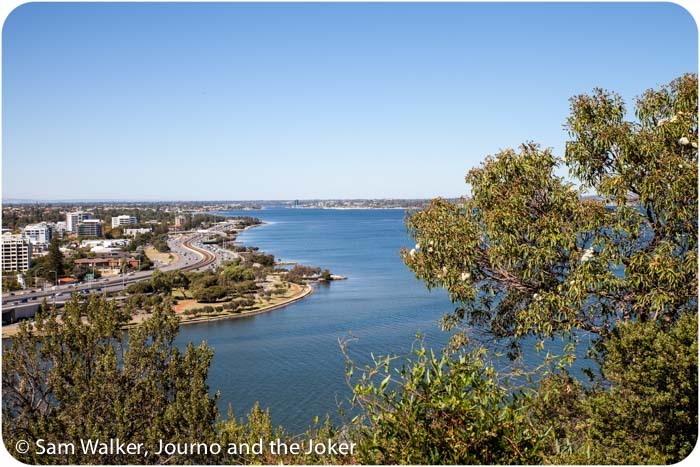 This is a view of the beautiful Swan River snaking around South Perth, taken from one of the most beautiful parks I have visited – Kings Park. Love those blue skies and sunny days. 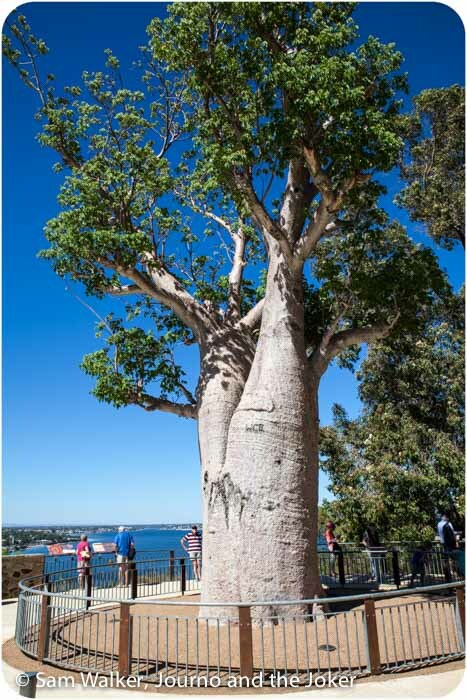 It was many years since my last trip to Kings Park and I was delighted to see this boab tree. It is believed to be 750 years old. Can you imagine the things it has witnessed? If only it could tell the stories. It was transplanted from its home in north Western Australia and moved 3200 kilometres south to its new home. It was quite a feat and hats off to those involved for doing it successfully. Let’s hope it lives another 700 years. Do you have a little piece of home you miss? Or maybe you have visited my hometown? Share your stories with us. This week’s postcard greeting is part of a linkup with Four Around the World’s Snapshot Story. Head over to see what others have been doing. Thanks again Holly for the opportunity to join you. There’s a few things I miss from home as well:) But I’ve only been gone for a little more than a year, 20 years is a long time! It is a long time. But my family are still there, so I visit often. Australia is on our list of places we hope to visit one day. 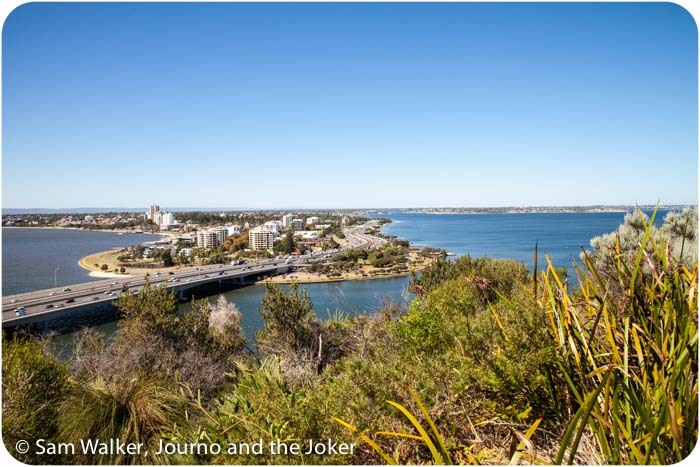 Perth looks so beautiful, thanks for sharing these photos! Now I have wander lust again! Hi Wanda. Wanderlust is a wonderful thing. Glad we have inspired you. Perth is a very beautiful city but much quieter than the popular eastern states capitals of Melbourne, Sydney and even Brisbane. Many people miss it out on their visit to Australia because it is so far from the rest of the country. But you’ll find some of the best beaches in the world in Western Australia. Isn’t it? I never get tired of visiting Perth. If only it wasn’t so far from everything else.